Christopher Thanh Nguyen was 18 months old when his kidneys started failing and after a long fight to get well, a medical procedure left him with brain damage after lack of oxygen during a procedure. From the age of 22 months old to 17 years and 9 months, Christopher fought all odds. Doctors gave Christopher only 2-5 years maximum to live, as they believed he would have kidney failure again, and unable to receive kidney transplant, because of his disability. Christopher staged an incredible recovery from Nephritic Syndrome, but was left with Cerebral Palsy. Christopher could no longer walk or talk, there were many physical restrictions. This did not stop Christopher to have a fulfilling life and enjoying life together with his whole family. Christopher had numerous trips to the Gold Coast, NSW and much more. Christopher was part of his brothers’ lives, their friends and activities when possible. He would always participate in all family events. Overall Christopher never missed out on anything. 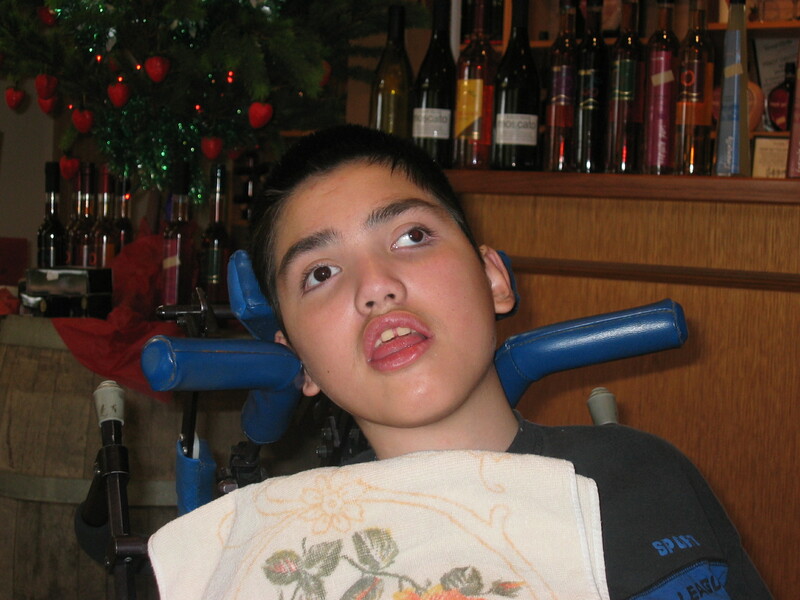 Christopher taught his family to smile and never give up. Life needs to be lived and not endured. Make the best of what you have and never give up. Life is a journey, at times things happen in your life for reason. During your journey, we get to choose our own path on a day by day basis. Every day we wake up is a new beginning. While on the journey how we choose to live is up to us. Every morning as we face a new day we have a very real choice to make.” Am I going to live this day to the fullest?” Make the best you can out of what is before you and be happy. Christopher passed away on the 29th March 2007 at home, surrounded by his much loved family. 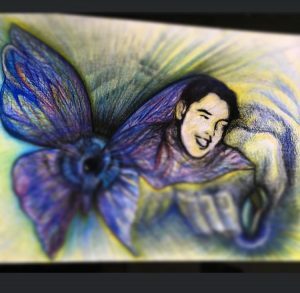 His brother Martin Thanh Nguyen, few days after Christopher’s passing away, said to his mum “ Mum don’t cry, Christopher is like a beautiful cocoon, who will now turn into a big beautiful butterfly. No more wheelchair, no more peg feeding, no more pain”. The Chrisalis Foundation logo was developed with Christopher’s’ favourite colours. One of his favourite Ninja Turtles was Michelangelo (orange) and he was an avid Carlton supporter (The Blues). The Cocoon hangs from Christopher’s name with the butterfly now overlooking the cocoon. Christopher in some ways will always be watching over all that are involved with this Foundation and the butterfly emerged also represents what has now passed and what now can be achieved, which is beautiful and inspirational, as was Christopher. A thought, which we wish, for all those that seek assistance from Chrisalis Foundation. Christopher’s memories will always live on. This foundation looks at resources for individuals with disabilities and their immediate families to help build their potential to live a harmonious and fulfilling life, like Christopher did. The artwork reflects how a tragedy was triumphed with the courage to make a difference through the birth of the Chrisalis Foundation. The butterfly resembles Christopher’s journey and that of Cathy, Christopher’s mother. The artwork depicts hope and a new chapter not only for Chris but for his family but for all the children the Foundation will help. The hand of God’s hand, ties in with the scripture from Psalms “I formed you in your mother’s womb.. You are fearfully and wonderfully made.. a master piece” Gods hand also represents he’s steadfast grace and strength. I intentially drew Chris with a smile on his face because that’s how I wanted you to remember him.. He’s not the same way as the day that he left you. He’s carefree now and in a place where there is no sorrow. He is running around enjoying his new pair of legs. He is in a happy place with God and you will meet that huge smile again someday. A beautiful picture of Gods loving hand of grace.. A beautiful son and his courageous mother. A cacoon that gloriously evolved into a radiant, splendid butterfly. The humble watercolour drawing depicts the complete picture. A reminder of your eternal purpose.. Your sons smile and the smile of many other children.